SPHERE caught sight of Beta Pictoris b by looking at it directly — not by inferring its existence. Most known exoplanetshave been discovered using indirect methods — observing how they affect a star's position or brightness. ESO's SPHERE specialises in a method called direct imaging, hunting for exoplanets by taking their photographs. 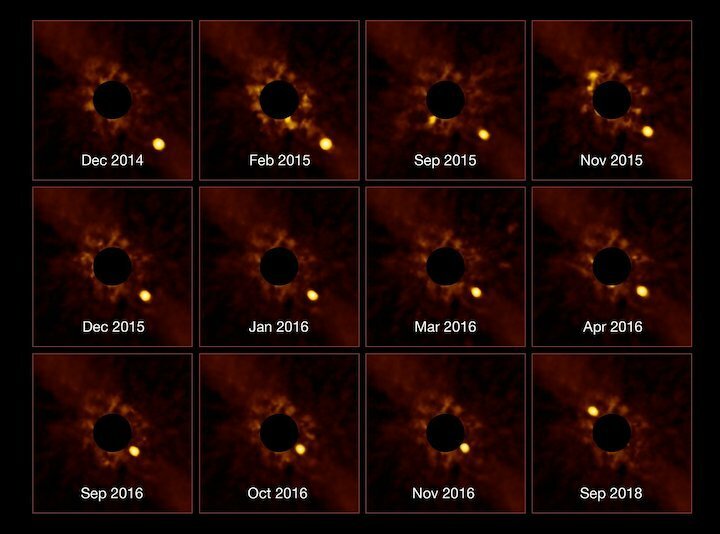 This extraordinarily challenging endeavour provides us with clear images of distant worlds such as Beta Pictoris b, 63 light-years away.